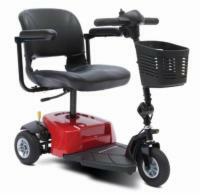 Free shipping on all Acorn stair lifts. Our warehouses are not prepared for customer pick-ups at this time. All Stair lifts are shipped via UPS ground service or Fed-Ex ground service. Most units will arrive within seven to nine (7-9) business days after the order is submitted. We will notify you if the unit(s) will take longer. Free shipping applies to lift chairs delivered anywhere in the lower 48 states. Lift chairs can be delivered to Hawaii, Alaska, and internationally with additional charges for freight. You will be notified by the trucking company 24 hours in advance of delivery. Actual delivery times will depend on your location and which lift chair you select. In stock lift chairs can be delivered in 3-7 business days. We will advise you via e-mail as to the expected ship date. Your lift chair includes a one-year in-home factory authorized warranty for both parts and labor provided by the manufacturer.